Ovah Coffee: Feel Beautiful Inside Out ... Lose That Weight! Feel Beautiful Inside Out ... Lose That Weight! Gaining weight is easy but getting rid of the excess baggage is somehow complicated. It requires a bagful of determination, patience and conviction to go down in weight. A number of individuals do not believe that it is impossible for them to shed off those unwanted calories but if they follow wholeheartedly a good weight loss program, it can be done. My boyfriend's mom's boyfriend [got it?] lost 5 pounds in just two weeks. Everybody did not believe that he could make it but he proved them all wrong. It all started with a joke that turned into a challenge. With the great desire to lose weight and feel a lot better, different diet plans were laid on the table. Choosing which one to follow was difficult and starting the plan was frustrating. The first few days were counted as failures but with patience and strong will, he was able to push through with the strict diet and succeeded. I met him a few days ago and he did look so much better and a lot healthier. He said that aside from feeling lighter, he also gained self-confidence and was satisfied about that. 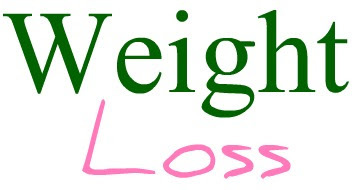 If you are interested to reduce excess weight, there are a lot of natural and safe weight loss programs to choose from online. You do not have to be alone on this journey. Achieve the ideal body image you are dreaming of with the help of experts. With their help, you will get the information you need, get the right diet plan and exercise procedure for you to follow, receive the necessary advice and avoid weight loss tricks. Remember, if you want to start living well, as early as possible start experiencing a steady weight loss until you reach your goal. Feel beautiful inside out... lose that weight! Have a light and healthy Saturday everyone! Oh. Detox time, Mar? You can do it! Have a pretty day! Hugs!